Reference: Mortier, K, Hunt P, Leroy M, Van de Putte I, Van Hove G (2010). Communities of Practice in Inclusive Education. Educational Studies, 36(3), 345-355. https://doi.org/10.1080/03055690903424816. The article Community of Practice in Inclusive Education written by Mortier, Hunt, Leroy, Van de Putte & Van Hove (2010), discusses how parents along with general education teachers, belonging to a “community of practice”, developed different strategies for the inclusion of three students with learning disabilities. In this context, “community of practice” is defined as a group of individuals who share the same passions and concerns about a given topic, and who believe that learning is a process of social participation. The research methodology is an in-depth study conducted by three educational teams, in Belgium, who worked collaboratively to develop “Unified Plans of Support” (UPS) for students with intellectual disabilities. Through their interviews and questionnaires, the research found that there exists highly probable benefits to sharing knowledge and cooperating amongst a community when working towards educational inclusion. Amongst the research professionals, each educational team worked with one child with their own intellectual disability. The three educational support teams functioned as the community of practice for each child. The first team worked with a student named Jacob, who was diagnosed with Down’s syndrome. The second student participant was a girl named Olivia, diagnosed with Autism. The last of the children participants was Jade, a young girl diagnosed with Down’s syndrome. Each child worked with an educational support group, acting as a community of practice, in order to gather information regarding strategies for inclusion. Once a month, the groups would meet to develop and organize a support plan for each child. After several meetings, each group would be interviewed to discuss the benefits and disadvantages of the process of working within a community of practice. After a six month period, the parents, teachers and members of the educational team were given a questionnaire and were asked to reflect on their experiences working as a collaborative group and developing a support plan for each child. Lastly, the results were collected by a line-by-line analysis on the interview transcripts, where themes in the responses were coded. Themes were identified in order to compare and contrast patterns in the data. The results found that the members of the three educational support teams felt confident in their abilities to cooperatively develop support plans for children with learning disabilities. They developed their confidence through understanding that their interventions were of their own solutions and not enforced upon them. The members of the three teams emphasized the importance of meeting regularly and including parents’ insights. In conclusion, working within a community of practice was beneficial to the inclusion of the students with disabilities, through strengthening the support offered by the educational teams. **Critique ** The research question presented in the article is valuable as it seeks to inform the reader on how a community of practice can improve and create inclusion strategies for students with learning disabilities. When studying the effects of creating a community of practice on student inclusion, the article presented an appropriate population of participants. The educational teams formed for the research process included parents, teachers, educational professionals, as well as three children with learning disabilities. These participants are reflective of a real-life community of practice, therefore an effective group to study. The experimental method of the study was well developed as it took place over a relatively significant length of time. The study incorporated the views and opinions of every member of the educational support team. It was also designed to ensure that each group was meeting regularly in order to discuss ideas for improving inclusion within every child’s classroom. The study was a suitable method for data collection, as coding the themes allowed for easy comparison of the results. Although the experimental steps were suitable to the research question, the researchers did not interview the children for their opinion on how they felt included within their classroom. The purpose of the study was to examine whether a community of practice was beneficial to ameliorating the inclusion of children with learning disabilities; yet no one thought to ask Jacob, Olivia or Jade. As such, the data collection should have looked to every participant, which would have allowed for a more accurate representation within the results. The research question looked to answer whether or not developing educational teams, mimicking communities of practice, would help better develop methods for student inclusion. Seeing as how the results stemmed from interviews and questionnaires answered by members of the educational support teams, they spoke to the research question. The conclusion discussed how supportive and collaborative planning amongst members of the community of practice is beneficial to developing methods for student inclusion, especially for those with learning disabilities. **Analysis**: As educators, it is important to build and maintain a classroom where all students have an equitable chance at success. As such, it is important to make course content and the classroom environment accessible and accommodating to all. With the creation of this type of environment being a primary goal within many academic institutions and classrooms, the findings within this article become immensely valuable. The article sheds light on the importance of collaboration when trying to implement true inclusion within an educational environment. Through these findings, it becomes apparent that facilitating, developing, and maintaining a community of practice for all students truly enhances each student’s chance at success. These groups create a positive environment in which each members expertise, opinion, and plan of action can be discussed, heard, and analyzed in the student’s best interest. Implementing these types of support groups within the educational environment can lead to immense student benefit, as it strengthens the streams of communication surrounding each student’s best chance at individual success. Moreover, the article shows that implementing these types of groups on the larger student body enhances each schools chance at successful inclusion. The research presented in the article also shows that implementation works on the individual classroom scale, making it useful on a teacher to teacher basis. 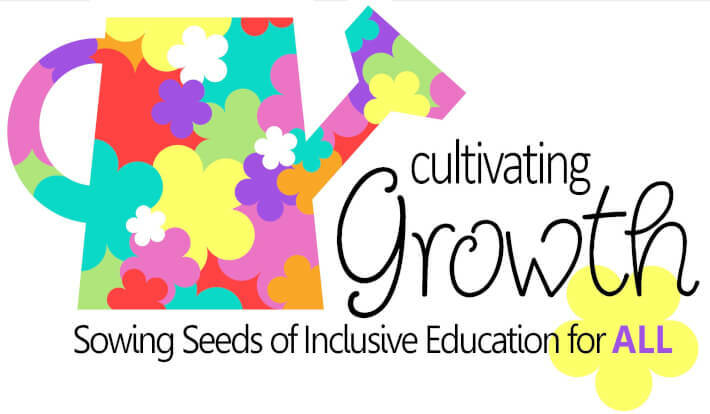 Through implementing the support groups and streams of communication needed for effective inclusion, teachers and schools as a whole can work together to achieve the inclusion necessary for all students to thrive.